There’s nothing quite like disappointment to reveal what we really think. Disappointment then, can be a deal breaker for us, or a notice that we are about to be sent to take a course that will upgrade our knowledge and prepare us for a promotion. Disappointment can reveal weaknesses in our assumptions about God and either cause us to turn back or motivate us to press on and pursue him to learn about the aspect of himself that he wants to show us next. Pioneers learn to handle disappointment well because they need to learn from their own mistakes, simply because there aren’t that many ahead of them who have gone this way before. Learning from one’s own mistakes has the unexpected bonus of appreciating the wisdom and experience of others when the opportunity is there. Pioneers also learn to discern the difference between the wisdom of those who have pressed on in spite of set-backs, and the negativity of those who are sitting in their own disappointment, watching it congeal into bitterness. God is good and nothing is impossible for Him. There’s always more to learn about him and he wants to draw us into deeper relationship. Keep going. A lot of people are very fond of this little guy. And God loves him even more. It’s a good thing that our disappointments are momentary, although they seem earth shattering. Love how God takes what seems like our biggest defeat and turns it into victory! 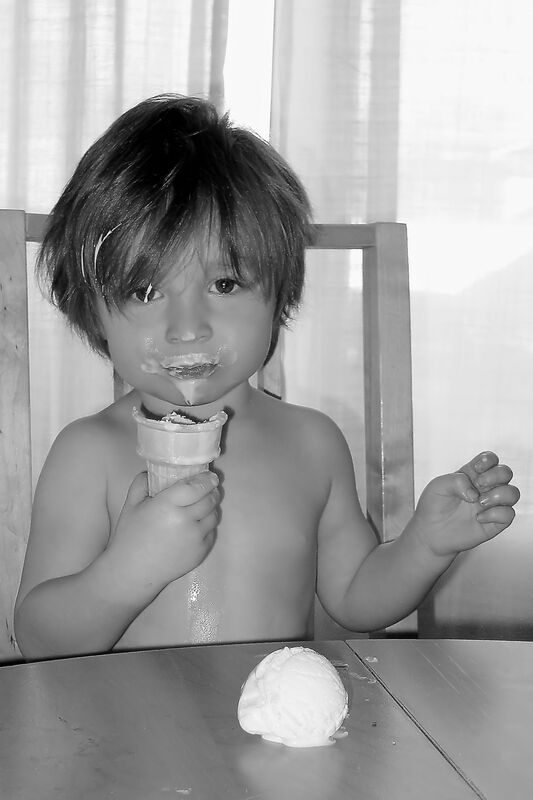 To a two-year old boy whose mother restricts sugary food to rare occasions, the loss of ice cream is an utter tragedy. But we know in the course of a lifetime it is really not a big deal. I wonder if God looks at the things that upset us in the same way. In the great grand scheme of things he has many more wonderful things planned for us. I’m sure God looks at the circumstances we face as only a blip in the map of eternity. My cry is to see from his perspective not mine! Thanks for the recommendation. You are a wise woman.